Vicky, Vicky, Vicky! What can I and the rest of the world say, you have one helluva fun and wonderful major dilemma! To be honest, it took me a while to get back to you because if I had the same problem as you, I wouldn't know what to get either! I guess I would be happy with any one of the three - I like the masculine sexiness of the Pasha, the classic elegance of the Santos and the understated glamour of the Roadster. 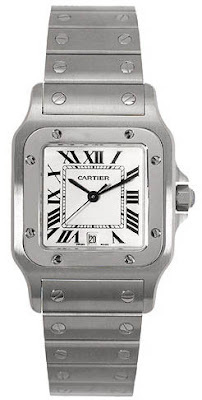 The fact that I owed you a post really kept me on the lookout for Cartier watches, and it's so funny that once I got Cartier watches in my head, they just kept on popping up - a steel Pasha on my fashionista Ninang's delicate wrist as she sat across me at our restaurant table in Shang Palace, a two-tone Roadster on my elegant Auntie's wrist as we sat beside each other at their dinner table, the memory of a Santos that my friend received from her groom on the occasion of their wedding (my guess as to why the husband picked a Santos, is because his last name is Santos! Hahaha! The sight of that watch 7 years ago got me saving for a timepiece, until I decided to settle with a Technomarine, which I now regret) and so on. It didn't help that they all look so nice...Sigh! But because a decision has to be made, hmmm, so now which of the three (well ok, we have 6 to choose from because it's still a toss up between steel and two tone versions) do we get? 1. 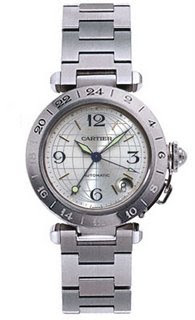 Are you starting a watch collection or expanding your watch collection? If you are starting, then best to start with a watch that can go from daywear to dressy so that you can make the most use out of it! Then again, that's just me. I'm the type to go for the least cost per wear so I would say get a two-tone watch because it will also go with your gold jewelry or accessories (if this is what you mean by being a gold person) and can be dressed up or down! Ergo you can use it as much as you want! If you are expanding your watch collection, then do as Baci suggested and assess your current crop of timepieces and figure out what is missing from your collection. But if you are not after variety, and more after staying true to what best suits your style, then go for the gut and pick the one that knocks you out first! If it is the steel Pasha, then a steel Pasha it is! One thing I learned from my shopping experiences is that when you get one item you truly love, you'll find your wardrobe and choice in other accessories adjusting to it! So don't look to the past or base your decision on what you think you currently like, because that something new could serve as the tipping point that will cause your personal style to evolve! 2. Are you looking for an everyday watch (then get a Pasha) or a versatile watch that will look proper for both school/work and special occasions (a toss up between a Roadster with interchangeable straps and a Santos)? 3. Are you constrained by a budget? I really haven't done an exhaustive research on price points, but I would think steel watches are cheaper than two-tone watches. That being the case, then it wouldn't hurt to get a watch made of steel. 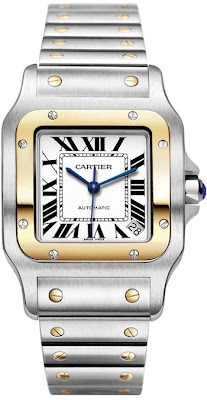 It's still a Cartier gosh darn it! 4. Do you do "temporary accessory trades" with your mom or siblings? If that's the case, it's practical to just get a watch that none of them has yet. But personally, I am not one to advocate this because your decision should be based on the timepiece that makes you happy! While it is noble to think of the greater good, we're talking about YOUR watch here, so YOUR choice should precede practical decisions. Hehehe! 5. Most importantly, which style called out your name? All three watches are classics, whether they come in steel or two-tone. You will never go wrong with any of your choices. When you go to the watch store get all 6 watches side by side and pick out your top three. Set them aside and from these choices, decide on which one you like best! hey dear! i love your blog site ! i added your link in my list! May I suggest a watch for Vicky? I think Pasha would look great, without looking too masculine for her. Pasha comes in white gold too! If you are not too much into steel, why not try the ones that come in leather straps? You can change them according to season. I have the one in white gold with diamond grid that I can take out if I want a more sporty look. (http://www.avente-watches.com/images/products/pasha32wgdg.jpg) Of course, the diamond grid makes it dressier but it doesn't stop me from wearing it everyday because it is a statement piece. I change the color of my leather strap according to the "it" color of the season to make it interesing! I love the second watch the best! 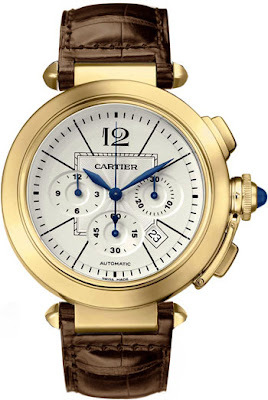 The girl's lucky to have a nice dad that will buy her a Cartier watch! hi bloghopping here.. i always love santos and would uber LOVE to have one. but Pasha is another good choice, ah! hi mfo! shoe sos here. :) been wanting to get a pair of repetto shoes. classic black ones. i checked their website and the closest boutique they have is in hk. but when i checked, it's a dance supply shop. will be going to hk next week and would love to get tips from you on where else in hk to get a pair and what pair to get. :) price range too? sorry, so many questions. thanks though! i have to wait til july and im beginning to fall inlove with the pasha. hi! 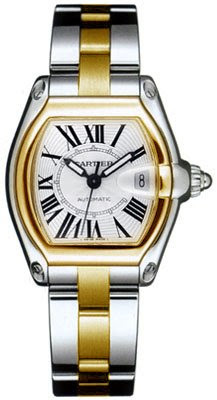 i would suggest the large santos gold/steel because i have exactly the same watch. but be extra careful of it as it gets easily scratched. daang!!! for the price i spent for it (actually, my DH spent for it), my cheap old anne klein watch looks better because it's still scratch-free. Best Wishes to you, Tin and Congratulations to your your lucky husband! Thank you so much for a very good advice. It's really hard to choose since you really need to consider alot of things. Thank you for listing questions that I need to think about. 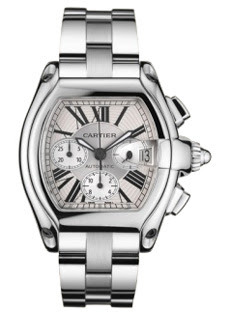 It's really helping me alot which to choose since this will be my first Cartier watch. I'll let you know which style I choose when July comes. Thank you also to those people who gave advices.